The G5S comes with Unibody metal housing, a particularly fast-focusing 16 megapixel camera, 3GB RAM, 32GB memory, Snapdragon 430 and 5.2-inch FullHD display. The 3000mAh battery should have enough power for 15 hours. Dual SIM, fingerprint sensor with the new Moto gestures are the other specifications of the LunarGrey and Fine Gold appearing G5S. The 5.5-inch G5S Plus with similar specifications but a 5.5-inch display, stronger Snapdragon 625 comes with an f / 2.0 dual camera, which has 13 megapixels and a somewhat sharper 8 megapixel self-camera with wide angle. It dominates to boot 4K video at 30fps and has NFC as well as 5Ghz Wifi (both features with which the G5S can not adorn itself). With NightDisplay and QuickReply the software of the two motos has also learned new tricks. For the Moto G5S Plus, of course, everything depends on the camera software, which connects the two lenses, but we hoped because of Motorola's experience only good. Whether it is the two synonymous in other specifications (4GB RAM, 64GB of memory were in conversation) in some countries, is currently unclear, because the Motorola site does not list them. Just a few months after the launch of the Moto G5S and its plus version announces the successor somewhat early. The Moto G5S Plus is likely to be officially launched soon and will bring new hardware as well as a detachment of the plastic housing. Here, too, there will be an aluminum design in the future. The Moto G5S Plus also has a metal housing. The display is 5.5 inches slightly larger than the Moto G5S. The device is powered by a Qualcomm-Snapdragon-Octa-Core processor with a clock frequency of up to 2.0 GHz. 4G LTE is also supported. The battery of the Moto G5S Plus has a capacity of 3,000 mAh and can also be recharged via the quick charging function TurboPower. The fingerprint sensor allows, in addition to unlocking the smartphone, some other functions. In addition, the Moto G5S Plus, like the Moto G5S, also features such as a night display and a quick response function. Evan Blass once again surprised us with marketing material for the future Moto G5S Plus from Motorola aka Lenovo. The pictures shows a new aluminum housing design of the Midranger, which fits better into the current Motorola lineup by Motorola. 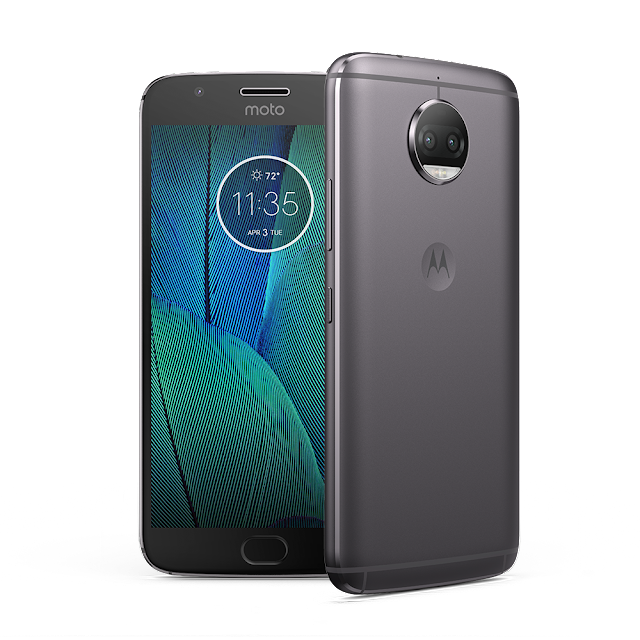 On the back, Motorola has donated a Dual Cam to the Moto G5 Plus successor, which consists of two 13 megapixel sensors, one RGB and one monochrome lens. Now, Motorola's midrange offer is now also possible bokeh effects and b / w recording. At the front, Lenovo has exchanged the 5 megapixel shooter of the predecessor for an 8 megapixel camera. The display is somewhat larger with 5.5 inch diagonal but remains at full HD resolution. The Snapdragon 625-SOC provides midrange performance with a maximum of 4 GB of RAM and 64 GB of memory. Whether the Moto G5S Plus is officially presented during the global launch event on July 25 is not certain. Also the Moto X4 and the two high-end devices Moto Z2 and Moto Z2 Force are still waiting for their official launch.